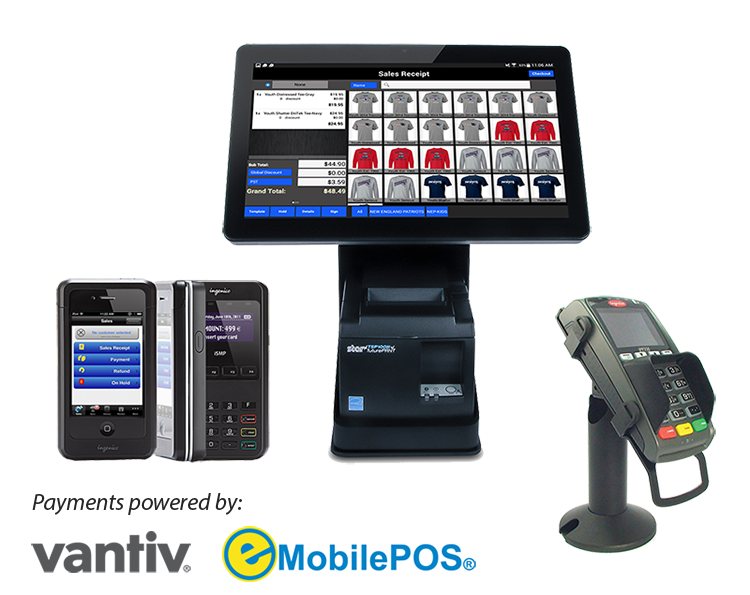 e-Nabler Corp., developer of the award-winning POS software eMobilePOS®, today announced a partnership with Vantiv Integrated Payments (NYSE: VNTV), a provider of payment technology and services for small and medium-size businesses.  The partnership provides U.S.-based small and medium-size retailers, restaurants and quick service restaurants with access to an affordable, EMV-compliant POS solution for tablets and other mobile devices. The combined offering will provide POS dealers, value-added resellers and systems integrators easy access to a complete POS solution with EMV-compliant payments via the Vantiv network. eMobilePOS is teaming up with the partner community to demonstrate the versatile, full-feature tablet/mobile POS software at the NRF BIG Retail Show in New York, January 15-17. eMobilePOS will showcase several new features such as duty-free and in flight retailing, self-checkout and kiosk edition, and the Tupyx m-Commerce companion for mobile and remote purchases. Watch eMobilePOS in action with the Star mPOP and see how proximity-based printing works. eMobilePOS combined with Elo PayPoint offers an all in-one, sleek POS solution. Certified mobile Bixolon printers for seamless integration with eMobilePOS. Certified mobile CognitiveTPG printers for seamless integration with eMobilePOS. The weekend at the World Salsa Championships in Atlanta was awesome and we can still feel the latin rhythms. eMobilePOS and Star Micronics mPOP kept lines moving and handled both ticket sales at the door and merchandise sales during the event. 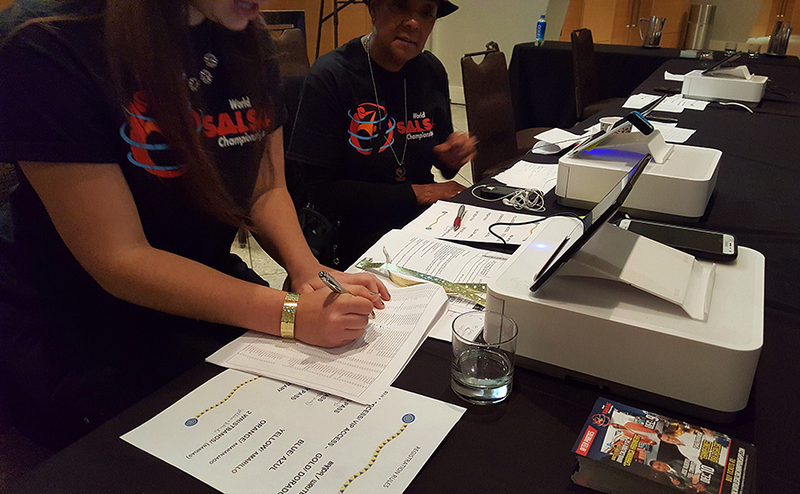 eMobilePOS has been appointed the official POS solution provider and sponsor of the 5th World Salsa Championships in Atlanta, GA on December 9-10, 2016. 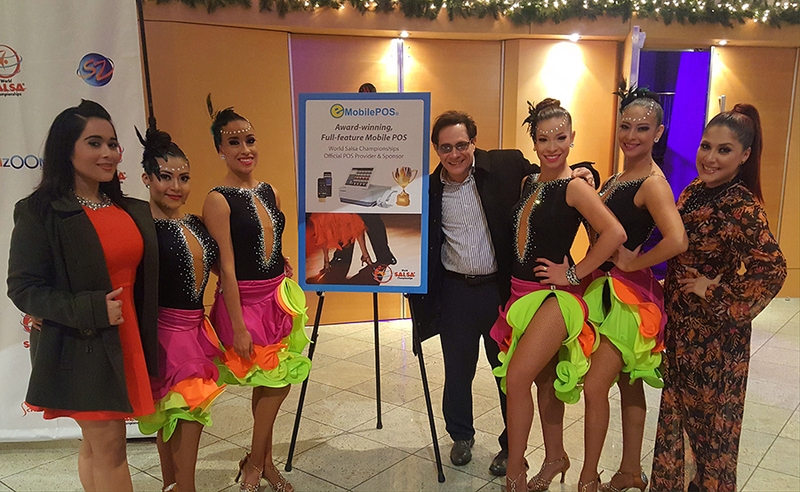 SAN JUAN, Puerto Rico – December 9, 2016 – e-Nabler Corp announced that eMobilePOS, an award-winning POS software for tablet and mobile point-of-sale will be used for admission and retail merchandise sales at the World Salsa Championships and other events in 2017 and beyond. Event organizers have chosen eMobilePOS running on a Samsung Galaxy Android tablet and it is paired with the Star Micronics mPOP that combines a cash drawer and receipt printer in one sleek, space-saving design. The tablet is placed in a stand for countertop use most of the time, but can quickly be released for line busting if lines get longer. eMobilePOS is a full-feature, tablet-based POS solution with integrated payments and multi-location inventory controls while serving a multitude of sales scenarios in retail and hospitality. It can be set up in a matter of minutes, offers a variety of hardware options to adapt to space and physical conditions, provides both counter-top and mobile POS options and scales easily from a single-store operation to a chain-store operation to venues of various sizes. eMobilePOS can be operated stand alone, but also offers full integration with popular Accounting, ERP, and legacy POS systems. Support for online and offline mode ensures that business does not come to a stop because of a temporary network problem. eMobilePOS is available for Android, Apple iOS, and Windows 10. The 5th World Salsa Championship is an unparalleled worldwide dance competition featuring the best “salsa” dancers in the World surrounded by Latin stars and celebrity artists. This two-day event will take place at the Atlanta´s Marriott Marquis in December 9-10, 2016. 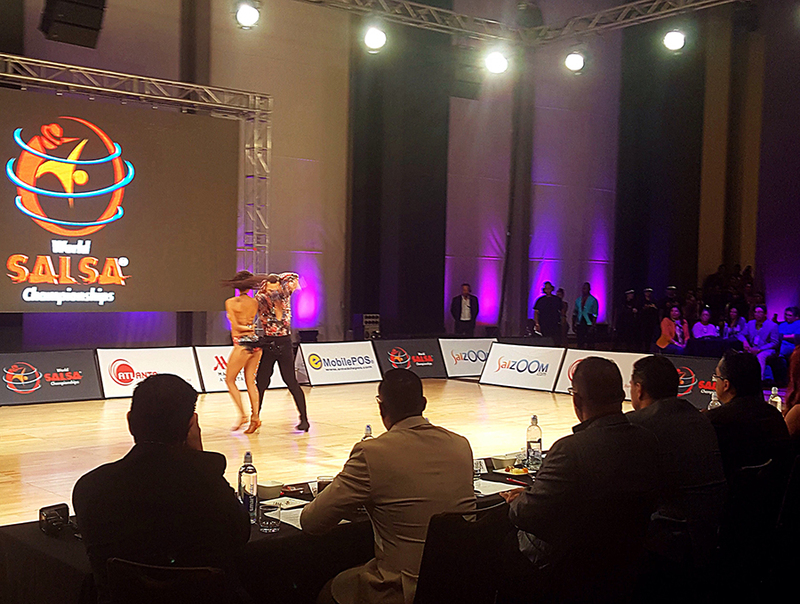 The best “Salsa” dance couples and groups from five continents will travel to Atlanta to compete and the final competition will be broadcast in ESPN Deportes and ESPN International. eMobilePOS is sponsoring the 5th World Salsa Championships in Atlanta, GA on Dec 9 & 10, 2016, which will air on ESPN. eMobilePOS is also official POS provider of the event for all ticket and merchandise sales, featuring its feature rich, tablet-based POS solution that with its flexibility and easy set up is ideal for use at sports events, concerts, and amusement parks. For this event eMobilePOS has teamed up with Star and will be using its mPOP POS solution. 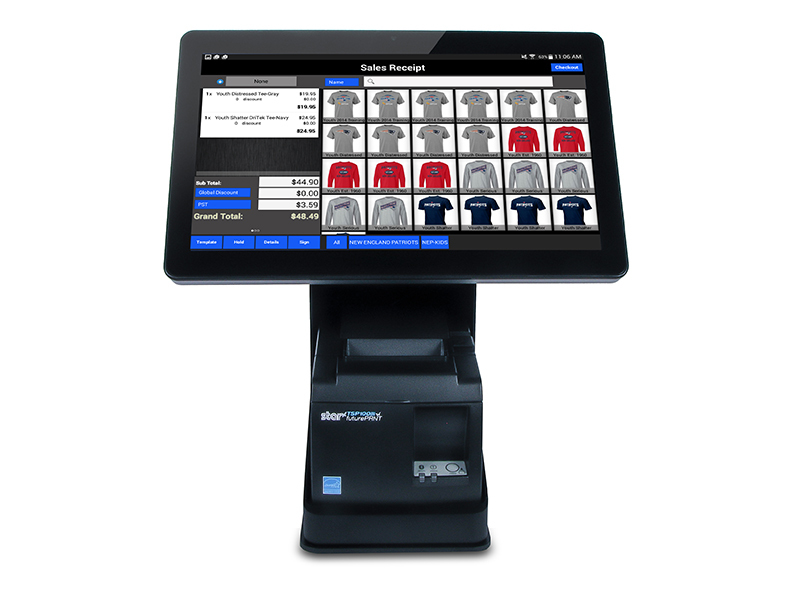 Star Micronics, one of the world’s largest POS and proof of transaction providers partners with e-Nabler Corp., developer of the award-winning POS software, eMobilePOS, to bring modern and innovative solutions to the tablet and mobile point of sale industry. eMobilePOS enables retailers, mobile merchants, restaurants, food and beverage stands, and other field users to use tablets and smartphones in tandem with Star Micronics POS printers and cash drawers. eMobilePOS sponsors of the Retail Pro Global Conference in Sacramento October 23-25 will demonstrate mobility for Retail Pro 8 and 9 users, enabling mobile POS from anywhere your business takes you. It provides full integration with Retail Pro and supports all three leading platforms, including Apple, Android, and Windows. Come to the eMobilePOS booth to learn more how your business can leverage from this solution. Click here to register and learn more about Retail Pro 2016 Global Conference. Take a moment and learn more about some of the latest integrations with Star printers and new features such as duty-free POS and fine dining POS. 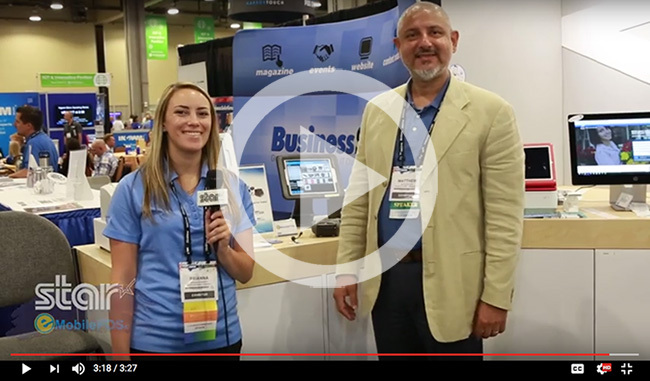 Matt Inan is interviewed by Brianna Moriarty from Star Micronics at RetailNOW. eMobilePOS will exhibit at booth 501 at VARTECH, the premiere event in the channel for education and networking. A combination conference and trade show, VARTECH enables value-added resellers to cultivate rewarding relationships with hardware manufacturers and software solution providers.